Easy-to-adapt sample production manager resume. Use the structure of this production management resume to create your own persuasive and professional resume. Production manager job requirements will vary according to the industry and organization. The key is to highlight the scope of your experience, your skills and strengths as they relate to the specific production manager job opportunity to convince the employer of your suitability. This resume focuses on the information a prospective employer wants, including your profile (a dynamic summary of your job-related competencies), your experience and skills, your achievements and your relevant behavioral attributes. Highlight the contribution you can make by clearly quantifying your accomplishments and production experience with facts and figures. Production management professional with over X years experience in large, fast-paced, multi-line facilities. Proven track record of achieving sustained improvements in quality, cost and delivery functions. effectively lead, coach and develop a large work team to accomplish operational objectives. identify, diagnose and resolve operational, manufacturing and maintenance problems within deadlines. plan work flow, manage multiple priorities and meet daily production targets while consistently reducing downtime. develop new procedures and processes to improve production accuracy. set up health and safety audit procedures and improve safety efficiencies. competently utilize Lean Manufacturing, Six Sigma, SPC and related process improvement techniques to ensure the most cost-effective manufacturing process. establish and maintain acceptable quality levels for all assigned products. interpret and develop reports including standard operating procedures. efficiently set and control operational budgets. Use the detailed production manager job description to adapt this sample production manager resume for your own use. How to write a convincing production manager resume objective. 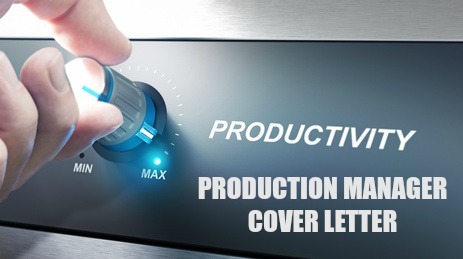 Always include a convincing production manager cover letter with your resume.